MK Betzalel Smotrich (Jewish Home) responded today to the Tzohar rabbinical organization’s attack on his bill for reform in the chief rabbinate with respect to kashrut supervision. 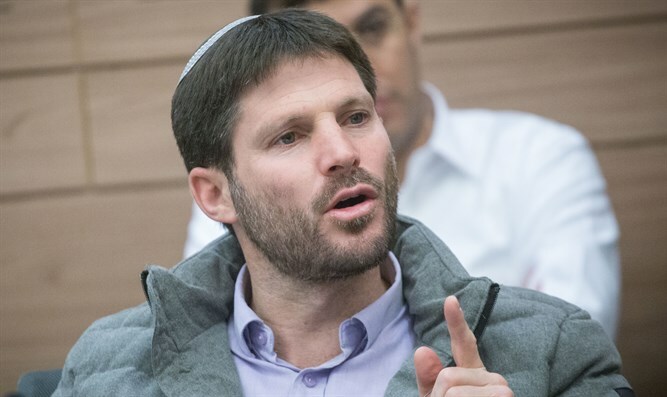 Speaking at a conference for municipal rabbis yesterday, Smotrich had accused Tzohar of being being responsible for the rejection of his bill. “A half a year ago, I submitted a bill that sought to qualify the chief rabbinate to establish uniform and transparent criteria for the state kashrut supervision system of the chief rabbinate. The bill was submitted with the support of the two chief rabbis and all the religious factions in the Knesset, and was intended to make the kashrut supervision system more efficient and improve its public image,” he said. “We did not receive any commitment of that nature, so Tozhar is proud that it torpedoed this bad bill which would have made kashrut elitist, closed and haredi, instead of being open to the general Jewish public,” he said. “To the best of my knowledge, this claim was never raised by them during the discussions on the law, neither in writing nor orally, and it is being claimed retroactively,” he wrote. “The fear of more stringent conditions of kashrut was raised by the Hotel and Restaurant Association and in response Rabbi Lau wrote a letter of clarification. Following the letter, the hotels and restaurants removed their objections and supported the law. Only the Tzohar organization remained opposed and incited MK Azaria to block the law through the veto power of the finance minister in the ministerial committee on legislation. “Moreover, in a telephone conversation that Rabbi Stav [of Tzohar] held with MK Roy Folkman six months ago in my presence, Rabbi Stav demanded ‘in return’ for removing their opposition to the law to open kashrut registration centers, and did not bring up any claim about a fear of more stringent standards or the fate of heter mechira. “Third, my bill overlaps with most of Tzohar's alternative kashrut program. According to them as well, uniform standards should be set for kashrut, and according to their opinion, the chief rabbinate should determine them. They only ask that the supervision and implementation be carried out by private bodies like them, and hold the important amendment of transparent and uniform standards ‘hostage’ in their struggle.